1. I have had a plan in my head for a shop for quite a while now. I’ve been working away at it, and I think this is the year I’m ready to go forward with it. Hopefully sooner than later, but at the same time I don’t want to rush it. I’m looking towards the Spring for a launch date right now. 4. I was reading about how to grow your own tea online, and decided that it sounds totally manageable for me! It takes a full year to do, and I plan to start this one in the Summer. 6. Save save save!!! When I move out again, I want to make sure I’m financially comfortable between bills & osap payments. Saving is a big priority for me this year. 11. The problem with shift work is my schedule is constantly changing. Sometimes I have a hard time keeping up. 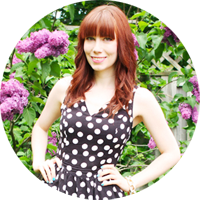 I really want to try and create a steady schedule for the blog. 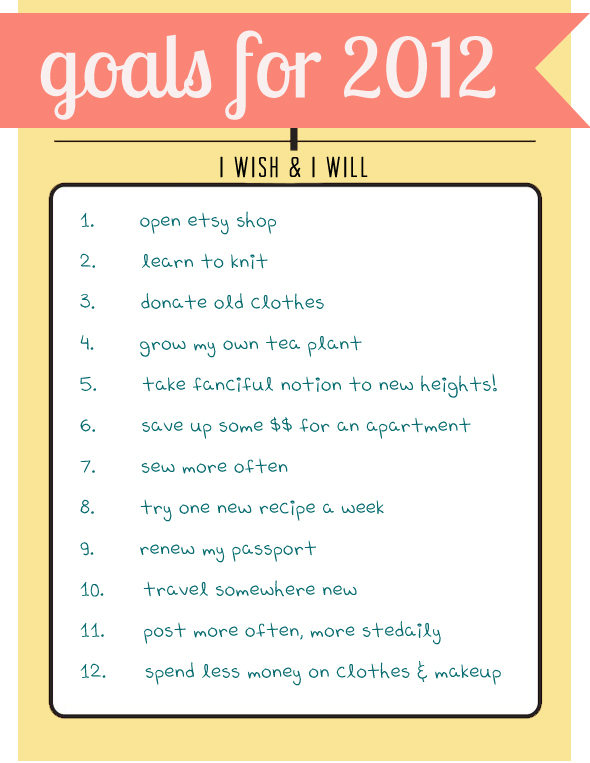 What are your goals for the year twenty-twelve? This entry was posted on Friday, January 27th, 2012 at 9:13 am	and is filed under A Day In The Life. You can follow any responses to this entry through the RSS 2.0 feed. You can leave a response, or trackback from your own site.